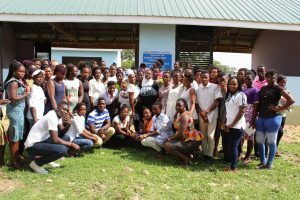 In June 2018, YHFG succesfully organized a home-coming event (alumni meeting) for the Girls Remedial School Project at the YHFG’s Youth Centre in Yikene, Bolgatanga. 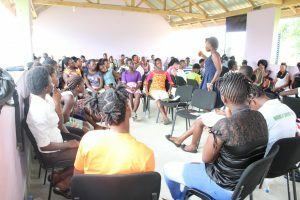 The Girls Remedial School is the YHFG’s flagship programme that provides support to girls who failed some key subjects in the Senior High School certificate examinations to re-write the exams and progress in their education. The support includes free accommodation and remedial tuition at the Youth Centre in Bolgatanga. Through this programme, several girls have escaped child/forced/early marriages and are in various stages of tertiary education. Each year, the alumni homecoming event gives the young women the opportunity to come together and share their experiences with each other and challenge the current girls in the school to work hard and progress in their education. The event brought together beneficiaries from 2014-2017 year groups to share their experiences with the current students. Addressing the 2018 alumni homecoming, the in-coming Executive Director of the YHFG, Priscilla Nyaaba stressed the need for parents to give serious attention to their daughters’ education: “We at YHFG take girls education serious and hope that the parents will do the same. Women empowerment remains key to the development of Northern Ghana and girls education is at the centre of it all”.